Our partner for Polyimide rods and plates, with the brand Meldin® 7000, is Saint-Gobain S.A..
Saint-Gobain was founded in 1665 in Paris and has grown to a multinational corporation with over 200 000 employees worldwide and headquartered on the outskirts of Paris. Within the Saint-Gobain Group there is Saint-Gobain Performance Plastics managing material development and research for various applications, such as seals, waschers, dry bearings,etc. Saint-Gobain Performance Plastics one of the world's leading producer of engineered, high-performance polymer products, and serves virtually every major industry across the globe. We are cooperating on a trustful basis with a focus on the Medlin® 7000 products. 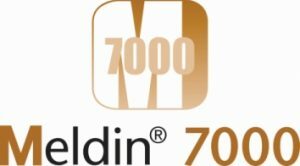 Meldin® 7000 series are ‘thermoset’ Polyimide rods, plates and direct formed parts made of polyimide and polyimide compounds, such as polyimide with graphite, PTFE or other blends. Our standard sheet size is 305mm by 305mm and our rod length is 965mm. Direct formed parts are according to your drawings. Meldin® 7000 rods offer unique thermal stability and heat resistance -they are produced by iso-static molding. Other shapes are produced by direct forming or compression molding. You may find the detailed characteristics of the material in our brochure, or please contact us at: info@bieglo.com.